- Dedicated to Helping You"
"Auto Safety: Dangerous Driving and How to Protect Yourself"
Which Cars Should You Avoid Driving? Spurred by a decade-old ignition-switch defect in millions of G.M. vehicles, the auto industry this year has issued more recalls involving old models - those made five or more years ago - than ever before. More than 60 million vehicles have been recalled in the United States, affecting the equivalent of one in five vehicles on the road, as automakers clean up years of defects that previously went undetected or ignored. Read more here. 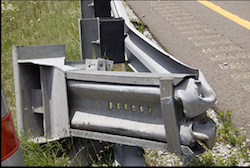 According to an internal email obtained by ABC News, a ET-Plus system official, a company contracted by the government to install guardrail systems throughout the United States, estimated one particular change - reducing a piece of metal in the guardrail end terminal from five inches to four - would save the company $2 per guardrail, or $50,000 per year. Savings which cost dozens of people their lives. Read more here. Accidents happen everyday. 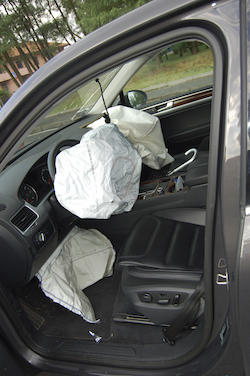 While most are simple "fender benders" others can result in life threatening situations. The NJ Motor Vehicle Commission has determined the safetest ways to handle any situation that can occur while driving. Find their advice here and be safe while driving this winter. 2014 had one of the highest vehicle recall rates in United States' history. Models, both new, and decades old, from the biggest names in the auto industry were recalled by the thousands. The U.S. Department of Transportation has set up a website so you can know about any recalls on your car. Click here to search. Do you have a story or complaint to share with us? We want to here from you! Email us with your name, contact information (phone number, address, and preferred email address please!) and we will respond as soon as we can.